Sound the alarm. Asian carp, the highly invasive species that has taken over waterways throughout much of the Midwest, has been found for the first time near Toronto, Canada. The discovery of just two grass carps has mobilized employees from Fisheries and Oceans Canada to ward off the invasive species, according to the CBC. Grass carp is one of several carp species—termed Asian carp due to their region of origin—that have spread rapidly across North America and pose a dire ecological threat. Asian carp are highly adaptable, hard to eradicate, and often outcompete native fish. 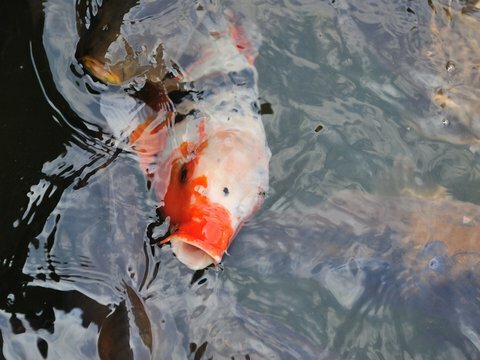 As many carp were originally brought to North America for aquacultural purposes, they can also devour lots of aquatic plant life and destabilize local ecosystems. As its name suggests, grass carp survive mainly on vegetation and can consume three times their weight daily. Large Asian carp like bighead and silver carp are an even greater concern for biologists, especially when it comes to the valuable Great Lakes.